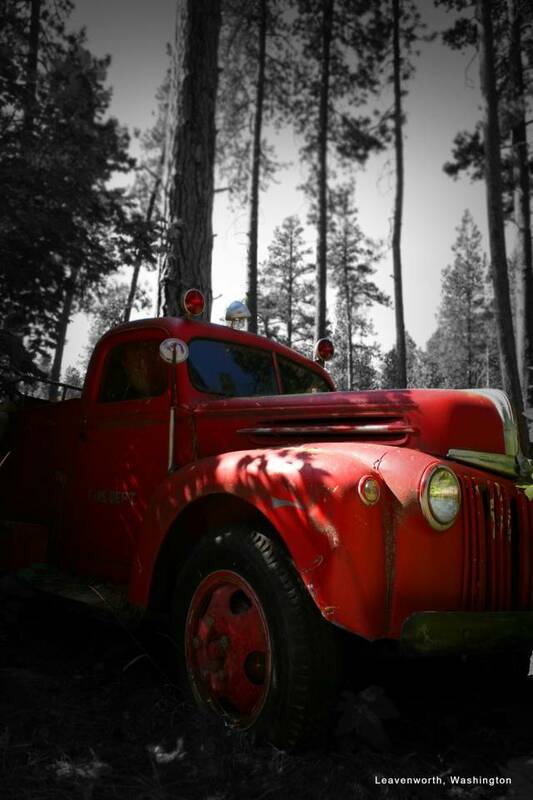 Old Fire truck in Leavenworth, Wa Photo Picture Classic Cars for sale & Classifieds - Buy Sell Classic Car & Classic Truck Classifieds. That is a 1942-47, no doubt. Restored a 1 1/2 ton '47 myself. I didn't realize how plentiful these trucks were until I got into redoing mine. It seems that there are a good many of these 1 1/2 tons and 2 ton trucks in barns and on farms, even though the war took most that Ford produced from '43-'45. The only way to buy one during those years was to prove need on a farm. how did you get the truck to be red, but the backgound is black & white? did you tint the photo? any how, its a cool pic. Thats a nice truck. Cars don't survive here in maryland. when they sit its all over. 1941 Ford?I know the pickups stayed all most the same but for the hood chrome as a 1940.Think the bigger ones were like this one.Kind of a cross between 40 and 42.